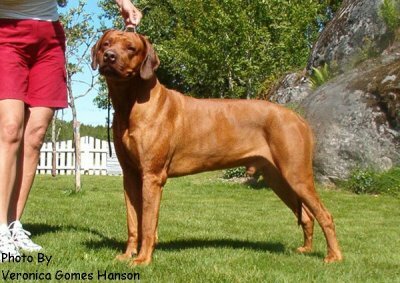 Maestro was bred by Eva Haglund Dackmar of Kennel Evergraces in Tystberga, Sweden. 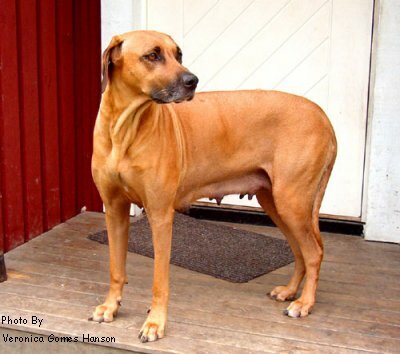 Sired by Mufudzi Mocha Magic, who is owned by Veronica Gomes Hanson of Rex Ventors Kennel in Stockholm, out of Evergraces The Golden Lion Queen, he carries an interesting mix of Australian and Scandinavian bloodlines. 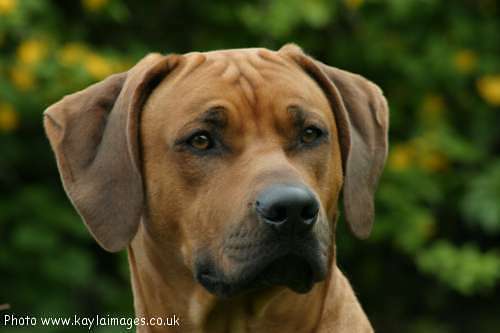 A very promising prospect as a youngster, Maestro has matured into a fine example of the breed with a super temperament! Now a Champion he has been awarded Four CCs, Two Reserve CCs and has been Twice Best Of Breed, as well as receiving many class wins at Championship Shows. While only being shown twice at All Breed Open Shows he was awarded Best of Breed at both and placed in the hound group once. Jean and I would like to thank Eva for entrusting him to our care, Marita Ceder for being his "mum" while in Sweden and Veronica for all her help and for just being there when we needed her. Needless to say we are extremely proud of our beautiful gentle boy. Maestro was to be our final addition for a while but then a year or so later along came Phoenix!